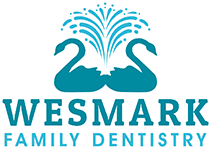 Headed by our experienced clinical staff, Wesmark Family Dentistry of Sumter, South Carolina, offers affordable, high-quality dental care for the whole family. The doctors and experienced staff specialize in general and cosmetic dentistry care, including teeth whitening, endodontics, periodontics, Invisalign®, Six Month Smiles®, ClearCorrect®, Perio Protect®, and implants. Wesmark Family Dentistry prioritizes your health above all else. That’s why, in addition to their other services, the caring staff at Wesmark Family Dentistry administers free oral cancer screenings using state-of-the-art lab equipment, like VELscope®. And to make sure finances aren’t a barrier, Wesmark Family Dentistry offers multiple financing options, including CareCredit®, Lending Club®, and flexible in-house payment plans. They accept cash, credit card, and check. A healthy smile is only a few clicks away. To schedule your appointment with Wesmark Family Dentistry, call their office or book an appointment online. "Wonderful! Modern facility and technology. Beautiful and tranquil office with the most friendly and welcoming staff in Sumter. I highly recommend it!" "Excellent staff. The Dentist was very personable. The office had wonderful ambiance. Very relaxing for a dental practice." "Always very friendly and professional. Absolutely the most beautiful dental office I've ever seen, reminds me of a relaxing forest."